UNISON has successfully campaigned to prevent the outsourcing of NHS catering staff working in Southampton and Portsmouth to private contractor, Interserve. In 2017, the Solent Trust Board decided to outsource the patient and retail catering services for the Trust as a whole. This affected both ward based catering services at hospital sites and staff in the public restaurants. Over 50 NHS staff were affected in two hospitals in Portsmouth, St James’s Hospital and St Mary’s Hospital along with two hospitals in Southampton, the Royal South Hampshire Hospital and the Western Community Hospital. Those affected were primarily kitchen and catering staff employed by the NHS. Following a tendering period the contract was awarded to Interserve in autumn 2018 and consultation with trade unions began with staff expected to transfer on 1st March 2019. UNISON representatives from Hampshire Health Branch and Portsmouth Health Branch expressed concern about the proposal to outsource from the outset and increasingly about the choice of provider, Interserve. 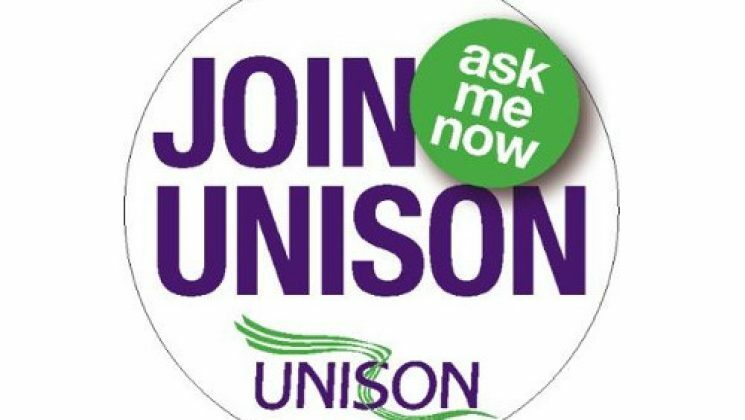 Even after the staff consultation had formally ended, UNISON requested further discussion with the Trust to ask for discussion to be held about our members concerns with the conditions of transfer and in particular considering their financial instability at that time, the choice of Interserve as a provider. The Trust did pause the transfer in mid-February and we did meet with Trust management representatives. UNISON welcomed the Trust’s caution in proceeding and again sought to encourage them not to proceed with the transfer. In mid March, Interserve went into administration and Solent NHS Trust withdrew from contractual talks, ending the prospect of outsourcing to this company. UNISON welcomes the dialogue it had with Trust management at this crucial stage and the astute decision to pause at such a critical time. We believe that this serves as a warning to other NHS Trusts of the failed ideology of privatisation and the need to have constructive dialogue with unions such as UNISON, who have considerable experience of the issues involved with outsourcing of public services to private companies. Had Solent NHS Trust committed to contract with Interserve, they and the taxpayer could have very soon been footing the bill for Interserve’s failings, and leaving vulnerable their dedicated staff and the service users they provide for.